Born to Ray and Vesta Moore and was raised in Central Oregon, along with his sister Donna. Richard attended grade school in Redmond and Bend, OR until his family moved to Prineville. Richard graduated from Crook Country HS, Class of 1948 where he played football and basketball. He started his career as a truck driver in the logging industry. While working in John Day, OR, Richard met the love of his life Carol Ann Keesling. They were married in Portland, OR November 21, 1951. Along with Carol, Richard is survived by his children Gail Woodward (married to Brick) Gary Moore (married to Kelly) - 4 grandchildren Brent,Clint, as well as Elizabeth and Conor Moore - 11 great grandchildren Chloe,Dayton,Sailor,Brick,Maddie,Anna,McCall,Ben,Tommy,Henry,and Bowie Woodward. 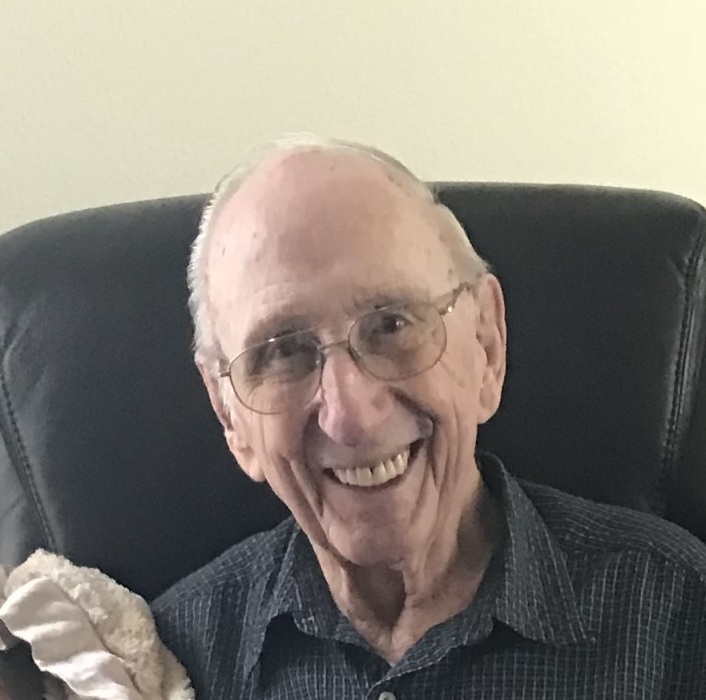 His happiest days over the years were spent with his grandchildren and great grand children, watching them grow and sharing his love for the outdoors hunting and camping. Richard joined the Catholic Church as an adult and was an active member of the Knights of Columbus. He also was a decades long member of the Elks where rose through the chairs to Exalted Ruler. After retirement Richard and Carol enjoyed many years in Yuma, AZ as “snowbirds” where they volunteered at Yuma Medical Center for 12 yrs. Richard was beloved in Yuma and was known for his big smile and kind heart. In passing, Richard will be reunited with his parents, sister and his grandson, Ben Woodward.